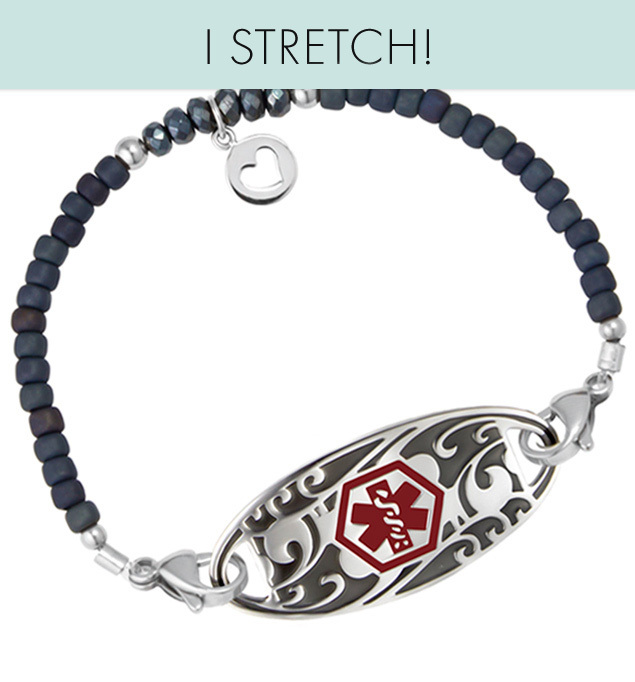 Our Grayce Stretch Medical ID Bracelet is a fun, simple addition to our Slip-On Collection. This interchangeable, single strand, beaded medical ID features dark blue frost seed beads accented with faceted dark blue crystals, silver rounds, and a darling sterling silver charm with a heart cutout. As with all of our Stretch Medical IDs, this interchangeable design is hand-stranded on high quality elastic, giving you exactly the look you want while allowing you to put your bracelet on over your hand: no clasping necessary!